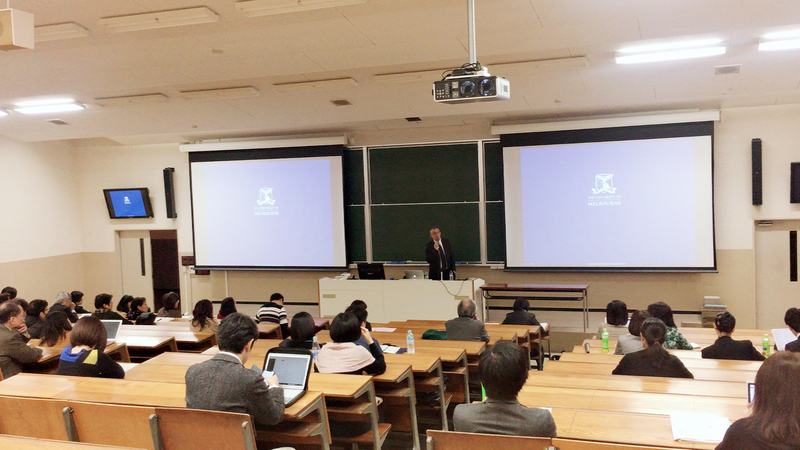 The third Lecture Meeting of the 2018 academic year was held on March 9th at Umeda Campus, Kwansei Gakuin University with 37 participants. Nineteen participants joined an information exchange meeting after the lecture. 6. The Materials Design and Development SIG has developed many theoretical and practical English textbooks for Japanese college and university students in order to foster learner autonomy and communicative competence. Recently there has been a shift in teaching methodology from teacher-centered, which is the cramming system of education, to student-centered such as Active Learning, collaborating with others, and autonomous learning. To reflect these changes in pedagogy, our study group started developing PBL-themed materials to improve learners’ critical thinking and communication skills. Presently we are creating some sample units for a textbook based on the learning process called PBL cycle (Ikeda, 2016). In this presentation, Professor Mitsuho IKEDA from Osaka University, who researches and practices PBL in the context of liberal arts education in universities, will first talk about the PBL doctrine and possible practical applications of PBL in EFL materials design. Then the Materials Design and Development SIG will introduce the framework and a few sample units of the textbook we have been working on. We believe that there are endless opportunities to use PBL, which transforms learners into explorers, in materials design and the development of the Japanese EFL education. 基調講演："Fairness and justice in language assessment"
特別講演 1："Written corrective feedback: Issues in past and current theory and research"
The 2018 Conference of the JACET Kansai Chapter will be held on Saturday, November 17th at Nishinomiya Uegahara Campus of Kwansei Gakuin University, featuring presentations, workshop and symposia in various areas of English education. “Written corrective feedback: Issues in past and current theory and research"
2. answering your questions in person. The second Lecture Meeting of the 2018 academic year was held on October 13th at Doshisha University Imadegawa Campus with 47 participants. Twenty eight participants joined an information exchange meeting after the lecture. 5. Abstract: Many nations have been struggling to work on new educational policy implementation since educational issues were discussed for the first time as one of the major agenda items at the G8 Summit Meeting at Köln, Germany in 1999. For the last couple of decades, active global mobility and ubiquitous access to the Internet have made us realize that educational issues should not be discussed only within a domestic community, but also at the global community level. Consequently, we need to further develop our educational policies, looking at the current situation from international perspectives. Above all, issues of foreign language education must be discussed world-wide because it is believed that languages should have a key role in building a peaceful society and contributing to greater cross-cultural understanding. At the symposium, several findings will be reported from an examination of educational issues in the European Union, where efforts to build a peaceful international community have necessitated overcoming friction in terms of history, economics, political thought and racial issues through education. Particularly, findings from the research on language issues such as plurilingualism and pluriculturalism for a mutual understanding, early-aged foreign language education, mother tongue education, and CLIL in Spain, Italy, the Netherlands and Germany will be discussed. Also, some implications and proposals on education policy in Japan will be presented. Some of the proposals will include mental chains called ‘happy slaves,’ which have led to a reconsideration of popularly held beliefs about language education in this country. The 2018 Annual Conference of the JACET Kansai Chapter will be held at Nishinomiya Uegahara Campus of Kwansei Gakuin University on Saturday, November 17. JACET members are invited to present proposals for research papers, practical reports, poster sessions, workshops, and colloquia. Applications are also welcome from graduate students. Please fill in the application form, which will be available on July 1st, and send it to us no later than 23:59 on September 15th, 2018. 1) Proposed topics should be relevant to English education and related fields. The proposed material should not have been presented elsewhere. 2) Prospective presenters (both representative presenters and collaborators) must be JACET members at the time of submission. 3) The language for presentation should be either English or Japanese. ・Workshops: Presenter(s) will guide participants in specific tasks. 90 minutes. ・Colloquia: Each presenter gives a presentation followed by discussion among the presenters and with the floor. 90 minutes. ・Research papers: Presenter(s) will describe theoretical or empirical research. 30 minutes (20 min for presentation; 10 min for Q & A). ・Practical reports: Presenter(s) will describe classroom activities or ELT curriculum innovation. 30 minutes (20 min for presentation; 10 min for Q & A). 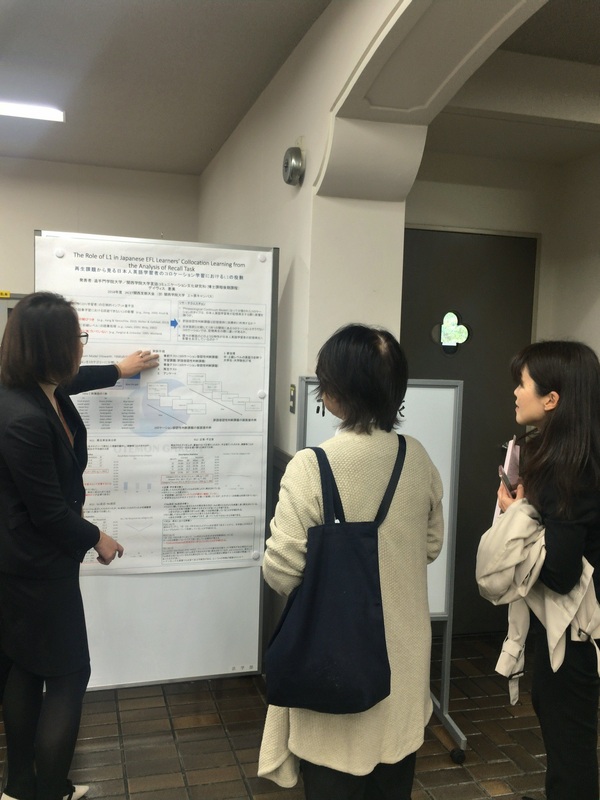 ・Poster presentations: Presenter(s) will participate in one-on-one discussion of research or practical report using a poster. 60 minutes (core time). 5) A web-based proposal form will be available at the web site of JACET Kansai Chapter (http:// www.jacet-kansai.org) from July 1.
a) For a research paper, describe the purpose of the research, research question(s), research method(s), results and discussion. For a practical report, give the background of the report, details, conclusion, and other relevant information. Do not include references in the abstract. b) Should be 200-250 words if in English or 400-500 characters if in Japanese. Give word count in parentheses at end of abstract. c) If not a native speaker of the language used, have a native speaker check the abstract before submission. Submission deadline: 11:59 pm, September 15th, 2018. The proposals will be peer-reviewed by the Research Planning Committee. Review results and feedback, as necessary, will be sent by after October 2. Cancellation after the acceptance of the presentation is not permitted in principle. The first Lecture Meeting of the 2018 academic year was held on August 19th at Kobe International House with 41 participants. Eighteen participants joined an information exchange meeting after the lecture. Please have a read through the newsletter #81. 5. Abstract: Whether or not we should teach English in English (TEE): this is a long-lasting controversy among second language researchers and practitioners. The pendulum of the recent TEE argument has swung more toward an integration of L1 and L2, and some researchers (e.g., Swain & Lapkin, 2000) encourages judicious L1 use. Despite such circumstances, the well-known TEE policy, i.e., “[English subject] classes, in principle, should be conducted in English”, was officially introduced in this country by the Ministry of Education into high schools through the Course of Study enacted in 2013. Assuming that the influence of this policy would not be limited to senior high school English education, the speaker launched an empirical project five years ago along with six other researchers to longitudinally examine the TEE policy’s influence on English education and university English learners. The project collected both quantitative data (questionnaire responses from about 6,000 students) and qualitative data (interviews with 24 teachers and 30 students) from 2014 to 2017. The most important finding was that the TEE policy had little impact on actual teaching and on the learners themselves. 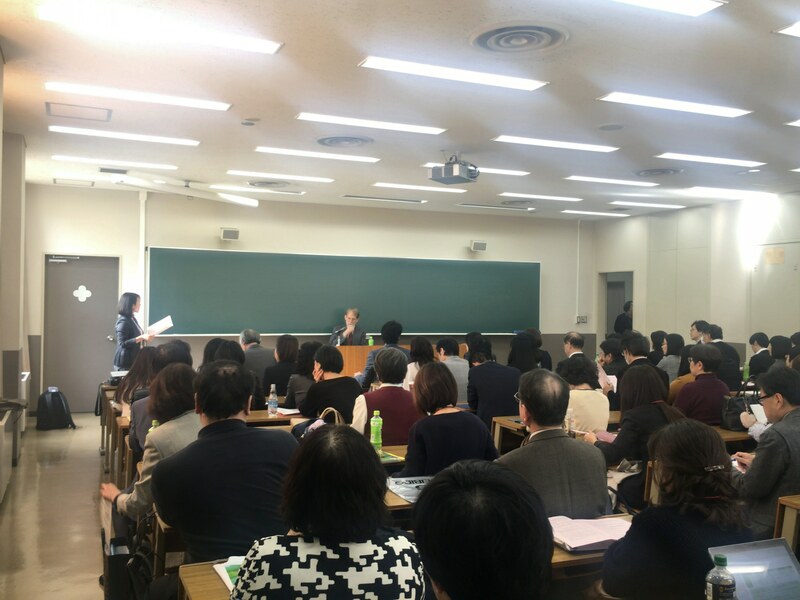 By presenting outcomes from this project, the speaker would like to discuss with the audience, the problems of the TEE policy and necessary conditions to promote TEE in the Japanese EFL context. The third Lecture Meeting of the 2017 academic year was held on March 10th at Campus in front of the station, Osaka Electro-Communication University with 42 participants. Twenty one participants joined an information exchange meeting after the lecture. 5. 概要：Learning can occur in many forms and therefore teachers need to be able to accommodate diverse learning styles and personalities. I try to do this by abiding by “rules” which have been laid through personal experiences and are supported by work in psychology and education research. The rules are as follows: (1) respect the students and their work (snapshot from elementary school: the case of the elongated dog), (2) show genuine interest and approval when merited (from intermediate school: the awkward propeller), (3) believe that your students can do it (from high school: the drunken flower), (4) acquire language as a user (from life in Japan: different communities, different discourses), and (5) continue your own development as a learner (status quo: interacting with Generation Z and promoting 21st century skills). My overall view is one of education as a “socializing” process, but my hope is that these “rules” will help me give my students the leeway to retain their individual creativity while actively participating in the communities with which they choose to interact. 5. Abstract: Learning can occur in many forms and therefore teachers need to be able to accommodate diverse learning styles and personalities. I try to do this by abiding by “rules” which have been laid through personal experiences and are supported by work in psychology and education research. The rules are as follows: (1) respect the students and their work (snapshot from elementary school: the case of the elongated dog), (2) show genuine interest and approval when merited (from intermediate school: the awkward propeller), (3) believe that your students can do it (from high school: the drunken flower), (4) acquire language as a user (from life in Japan: different communities, different discourses), and (5) continue your own development as a learner (status quo: interacting with Generation Z and promoting 21st century skills). My overall view is one of education as a “socializing” process, but my hope is that these “rules” will help me give my students the leeway to retain their individual creativity while actively participating in the communities with which they choose to interact. 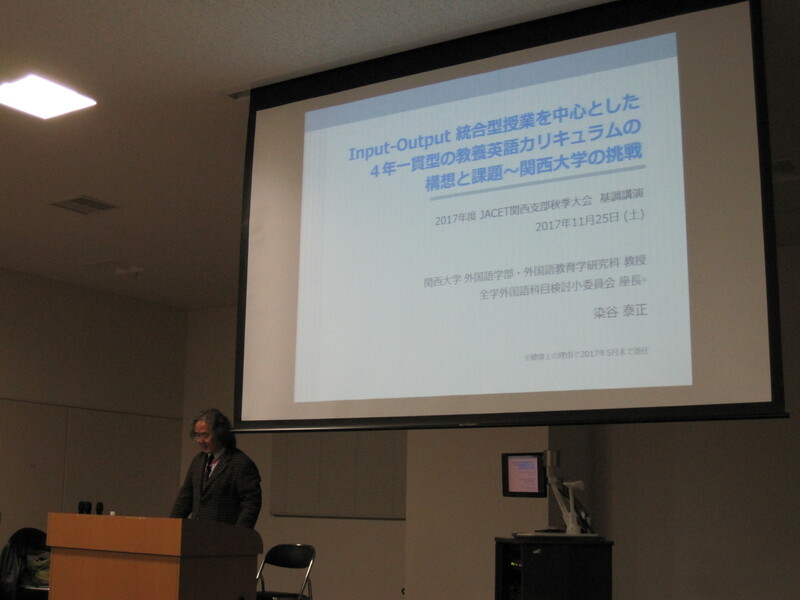 The JACET Kansai Chapter Fall Conference was held on November 25th at Osaka Shoin Women’s University Kosaka Campus. 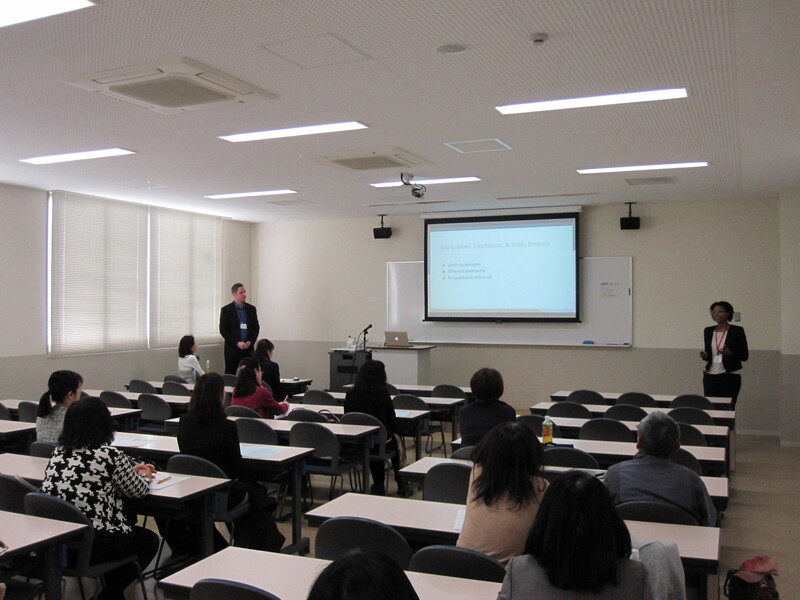 An invited workshop was held by Stuart McLean (Osaka Jogakuin University) on “The Benefits, Challenges and Results of Making a Research Based Vocabulary Program”. 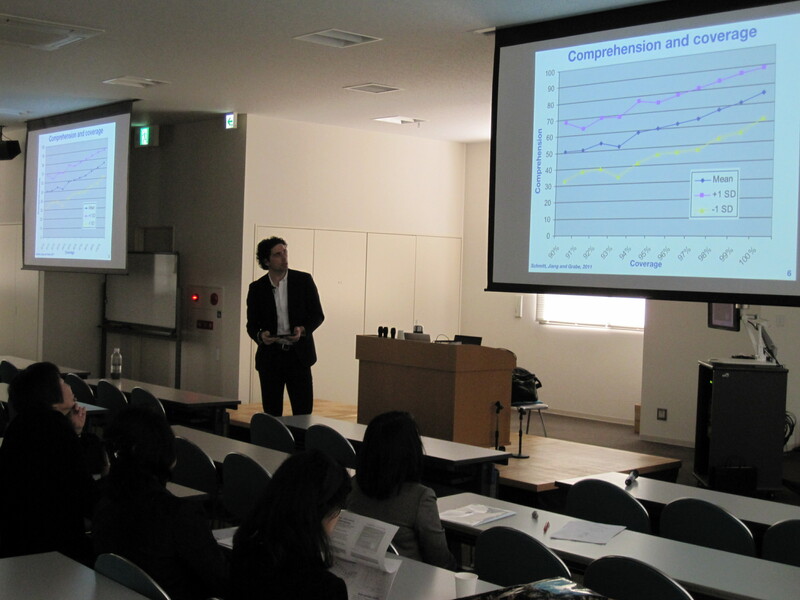 A special talk was presented by UEMATSU, Shigeo（Doshisha University）on "Current Situations and Issues of CLIL in Italy?". 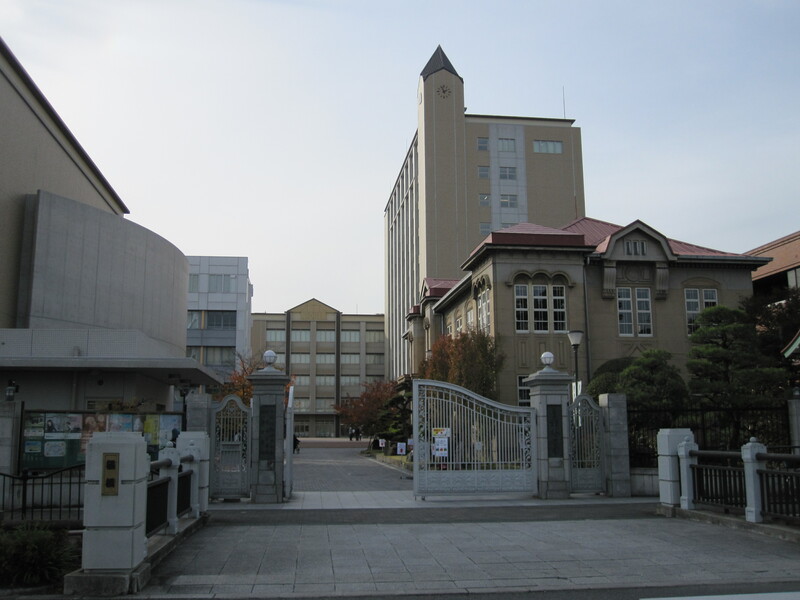 Two colloquiums were held by MURAKAMI, Hiromi（Kansai Gaidai College）,KUDO, Taizo（Nagoya Gakuin University）, and TOMITA, Fusanori（Kyoshin. CO. LTD.）on "My Developmental Education: Dramatic Changes on Lessons", and by MIYANAGA, Shoji（Kindai University）, YAMASHITA, Miho（Ritsumeikan University）, and KONDO, Yukie（Ritsumeikan University）on "Exploring Collaboration Among Instructors of ESP, EAP, and Project-based English: Three Different Approaches to Developing Global Communicative Competence". 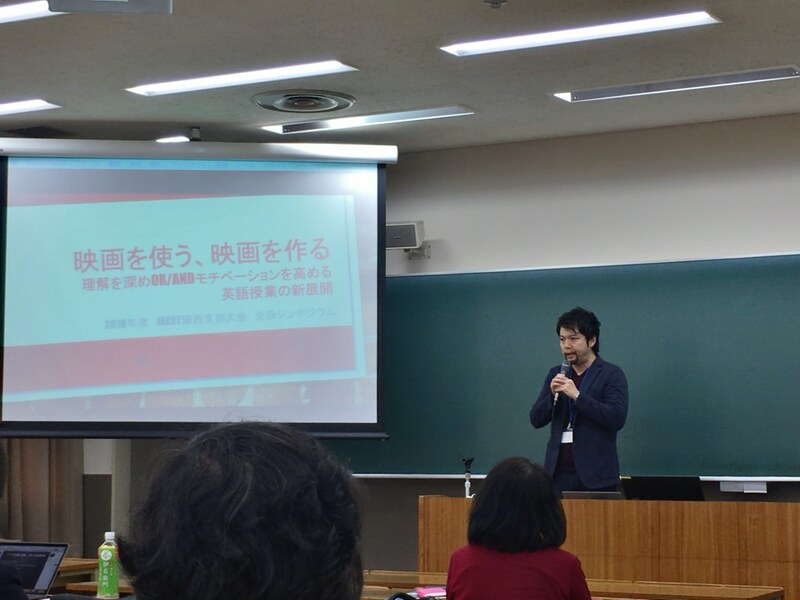 Finally, a keynote lecture was given by SOMEYA, Yasumasa（Kansai University) on "A Proposal of a 4-Year Non-Major English Curriculum Centering on Input-Output Integrated Classroom Activities -- A Challenge Being Made at Kansai University". The 2017 Fall Conference of the JACET Kansai Chapter will be held on Saturday, November 25th at Osaka Shoin Women’s University Kosaka Campus, featuring presentations, workshop and colloquium in various areas of English education. Reserve a place by sending an email message entitled [JACET Kansai Conference Party Reservation] with your name and affiliation to akiusami@mukogawa-u.ac.jp by Wednesday, November 15th. Pay the 5,000 yen fee on site. Payment at the door without reservation is 6,000 yen. Looking forward to seeing you all there. Please have a read through the newsletter #79. The second Lecture Meeting of the 2017 academic year was held on October 14th at Doshisha University Imadegawa Campus with 56 participants. The three speakers from the ESP SIG shared with the participants about their ESP materials and talked about how to use them effectively. After the symposium, the speakers and the participants joined a tea party. 5. Abstract: A core concept of the ESP approach is to identify genres that individual learners need and then tailor lessons to enable them to utilize those genres. To reach this goal, authentic materials are often used, but issues arise. This symposium presents proposals for materials development and utilization for three scientific fields: medical sciences, engineering, and life sciences. Part 1: Evaluating history taking instructional materials for Japanese medical students. Presented here are ideas for screening authentic materials by analyzing an actual lesson plan for teaching Japanese medical students a method for taking patient history in English. Part 2: A vocabulary e-Learning system for engineering students. Introduced here is an ESP vocabulary e-Learning system for engineering students designed to fit learner needs, proficiencies, and learning styles. Specifically addressed are what aspects of what vocabulary ESP learners need to know and the best way to teach it to them. Part 3: ESP materials and instructor manuals for undergraduate and graduate students in life sciences. This section will show how ESP concepts can be included in English teaching materials and instructor manuals for university students in the life sciences. The 2017 Fall Conference of the JACET Kansai Chapter will be held at Osaka Shoin Women's University on Saturday, November 25th. JACET members are invited to present proposals for research papers, practical reports, poster sessions, workshops, and colloquia. Applications are also welcome from graduate students. Please fill in the application form, which will be available on August 1st, and send it to us no later than 23:59 on September 16th, 2017. Submission was closed on September 16th. a) Describe the purpose of the research, research question(s), research method(s), results and discussion. For a practical report, give the background of the report, details, conclusion, and other relevant information. Do not include references in the abstract. b) Should be 200-250 words if in English or 350-400 characters if in Japanese. Give word count in parentheses at end of abstract. Submission deadline: 11:59 pm, September 16th, 2017.
Review results and feedback, as necessary, will be sent after October 16th. Please have a read through the newsletter #78. The first Lecture Meeting of the 2017 academic year was held on July 8th at Umeda Campus, Kwansei Gakuin University with 42 participants. The speakers shared with the audience about their latest research. Twenty one participants joined an information exchange meeting after the lecture. 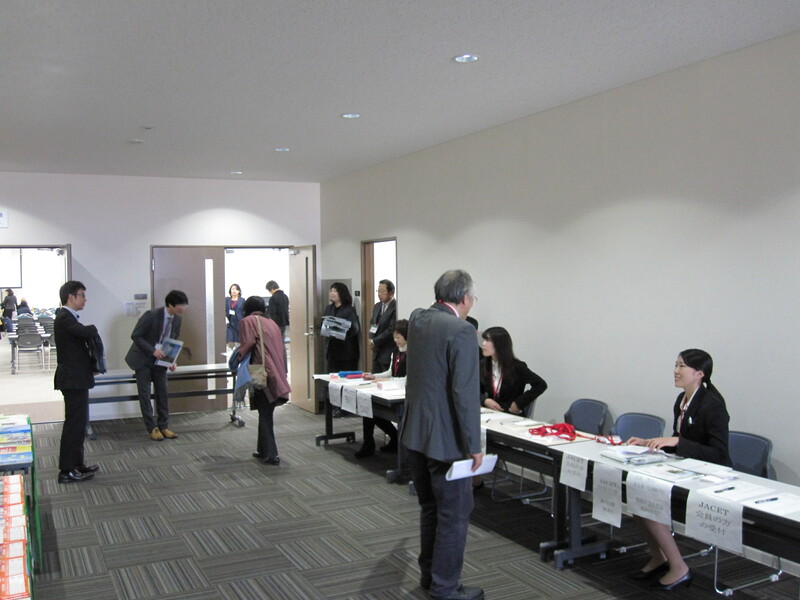 The JACET Kansai Chapter Spring Conference was held on June 17 at Konan University. An invited workshop was held by MIZUMOTO, Atsushi(Kansai University) on "Writing Research Articles in English with Online Reference Tools: Effective Use and Pedagogical Implications". A workshop was held by UEDA, Marisa (Ritsumeikan University) on "Easy and Practical Auto Scoring Method Using IF Function with Excel", and a colloquium by NAGAO, Akiko (Ryukoku University), SAIJO, Masaki (Ritsumeikan Univercity), and KAMIJO, Takeshi (Ritsumeikan University) on "Tertiary Level EFL Classroom Research: Case Studies Using a Sociocultural Perspective and DIscussions on Research Methods". Finally, a keynote lecture was given by SSASAKI, Miyuki (Nagoya City University) on Recent Trends in Seconds Language Writing Research: Systematicity and Individuality in Two Developmental Studies. 5. Abstract: Nearly two years have passed since the publication of Literature and Language Learning in the EFL Classroom (edited by Teranishi et al., 2015, Palgrave Macmillan). Contributors include researchers in and from Japan, the U.K., the Netherlands, the U.S., and China. This book has been discussed in a variety of conferences and symposiums, and reviewed in CLELE (Children’s Literature in English Language Education) Journal. Moreover, several books have been published in Japan and overseas that address related topics (e.g. Burke et al. (eds.) (2016) Scientific Approaches to Literature in Learning Environments, Saito (2016) Style and Creativity, Toyota et al. (eds.) (2017) Stylistics for English Learners). This would seem to suggest that Literature and Language Learning in the EFL Classroom has not a little influence on studies in related fields. In this lecture, I would like to reconsider the role of literature in English language education and learning and for this purpose first review the contents of the book. In particular, I would like to focus upon the following issues: the definition of literature and literary texts, pedagogical merits of reading literature as an EFL student, case studies and model practices in Japanese EFL classrooms. Finally, I would like to exchange opinions with the floor, hoping to discover possible future directions of English, communication, and Liberal Arts education in Japan. Please have a read through the newsletter #77. The 2017 Spring Conference of the JACET Kansai Chapter will be held on Saturday, June 17th at Konan University, featuring presentations, workshop and colloquium in various areas of English education. “Recent Trends in Second Language Writing Research: Systematicity and Individuality in Two Developmental Studies"
Reserve a place by sending an email message entitled [JACET Kansai Conference Party Reservation] with your name and affiliation to akiusami@mukogawa-u.ac.jp by June 6. Pay the 5,000 yen fee on site. Payment at the door without reservation is 6,000 yen. Looking forward to seeing you all there. The 2017 Spring Conference of the JACET Kansai Chapter will be held at Okamoto Campus of Konan University on Saturday, June 17th. JACET members are invited to present proposals for research papers, practical reports, poster sessions, workshops, and colloquia. Applications are also welcome from graduate students. Please fill in the application form, which will be available on March 13th. Submission was closed on April 22nd. Submission deadline: Submission was closed on April 22nd. Review results and feedback, as necessary, will be sent after May 1st. 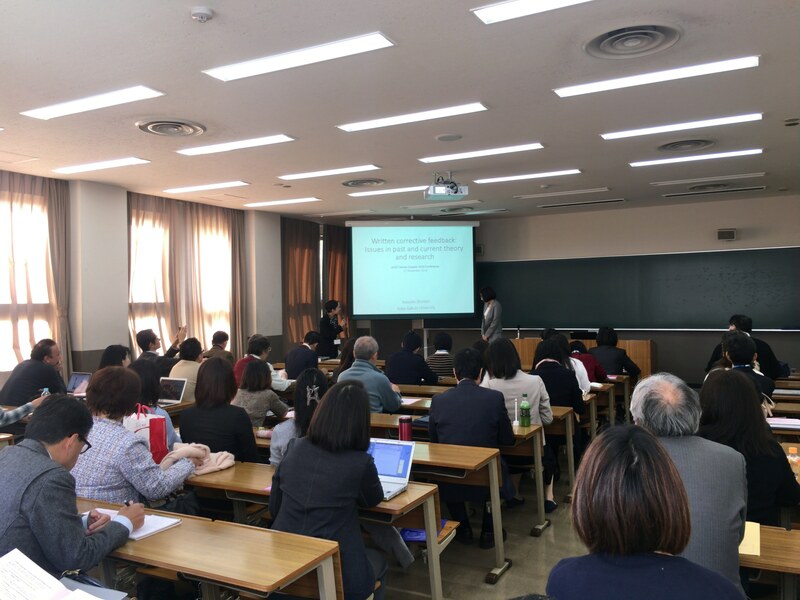 The third Lecture Meeting of the 2016 academic year was held on March 11th at Campus in front of the station, Osaka Electro-Communication University with 39 participants. The speakers shared with the audience about his latest research. Twenty two participants joined a tea party after the lecture. Abstract: A traditional approach to English verb complements, whether in conventional prescriptivism or theoretical linguistics, does not fully capture their diversity as observed in authentic English in use, because such an approach assumes that grammatical research can be done in a discrete way through the discussion that a particular verb can or cannot be followed by a particular type of complement. However, empirical data often show that a particular verb can take a complement pattern which has been judged to be unacceptable by linguists or grammarians. This kind of gap between what is written in conventional English grammars and English usage is observed because the language has always been in a state of change and has been “emancipated” from prescriptivism for various reasons, including historical ones. In my presentation, I would like to point out such diversity observed in Present-day English, dealing with the complement patterns of the verbs such as nod, express, disagree, assist, etc. They have been judged to be unacceptable or ungrammatical when used with a particular type of complement, which can be refuted by authentic data. English complement patterns constitute an interesting research area which mirrors the diversity of Present-day English. 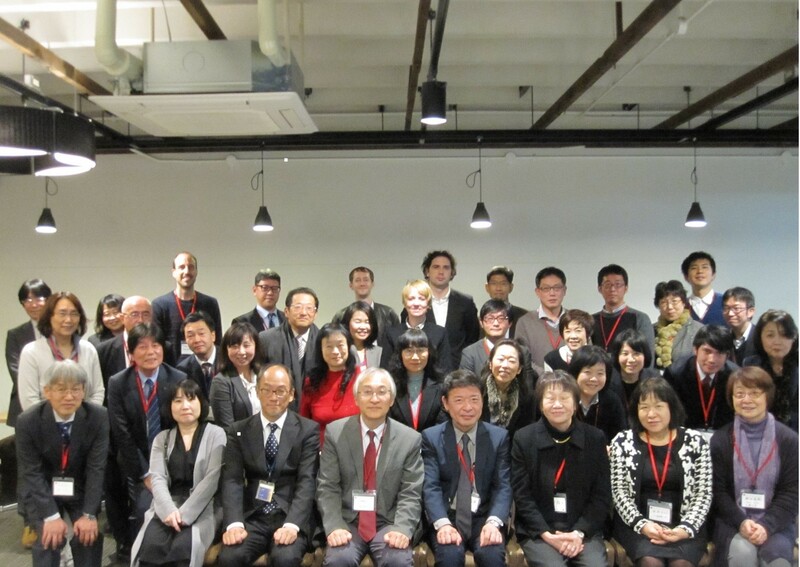 The JACET Kansai Chapter Fall Conference was held on November 26 at Kansai Gaidai University Nakamiya Campus. 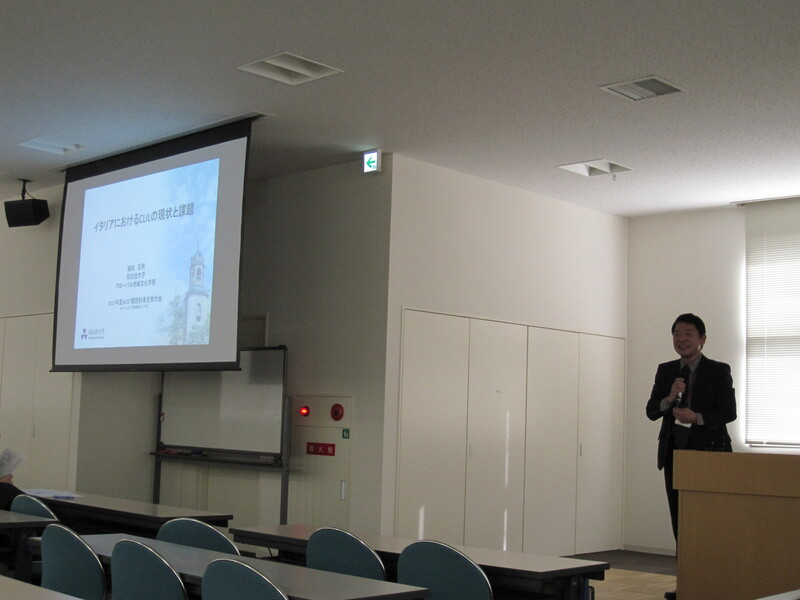 A workshop was held by KANAMARU, Toshiyuki(Kyoto University) on "Long Term Assessment of Speaking Proficiency with AI" by KANAMARU, Toshiyuki(Kyoto University). A special talk was presented by OKADA, Nobuo (Kansai Gaidai University) on "To What Extent Does Grammar Support Speaking?". 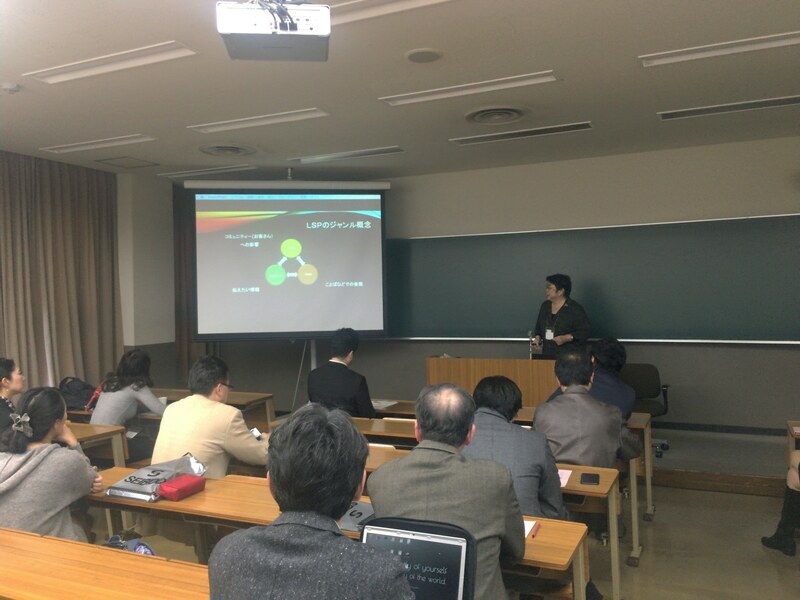 A colloquium was held by a study group led by MURAKAMI, Hiromi (Kansai Gaidai College) on "Classology: A Quest for Other Possible Teaching Techniques". 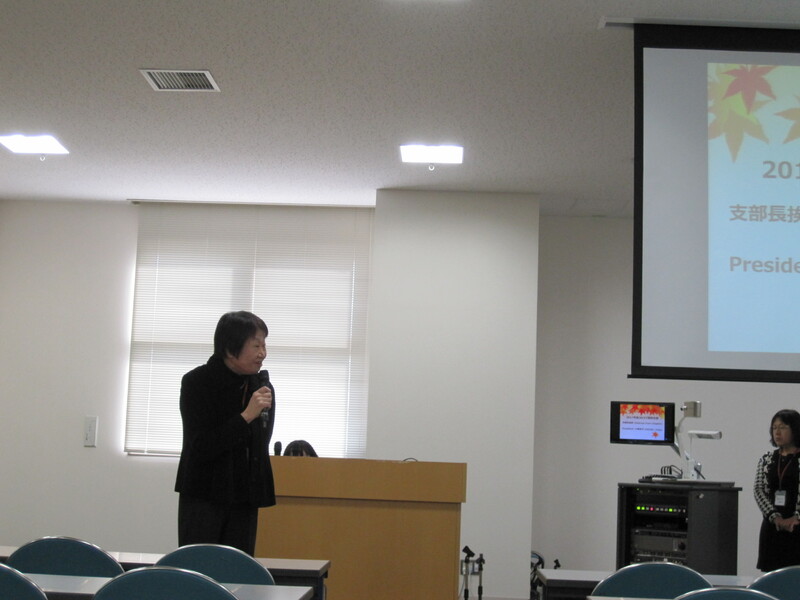 Finally, a keynote lecture was given by TORIKAI, Kumiko (Professor Emeritus, Rikkyo University) on "What Does It Mean to 'Speak English?'" Please have a read through the newsletter #76. The 2016 Fall Conference of the JACET Kansai Chapter will be held on Saturday, November 26th at Kansai Gaidai University, Nakamiya Campus ICC, featuring presentations, workshop and symposia in various areas of English education. “What Does It Mean to 'Speak English'?" Reserve a place by sending an email message entitled [JACET Kansai Conference Party Reservation] with your name and affiliation to masuda41@cc.kyoto-su.ac.jp by November 16. Pay the 5,000 yen fee on site. Payment at the door without reservation: 6,000 yen. Looking forward to seeing you all there. 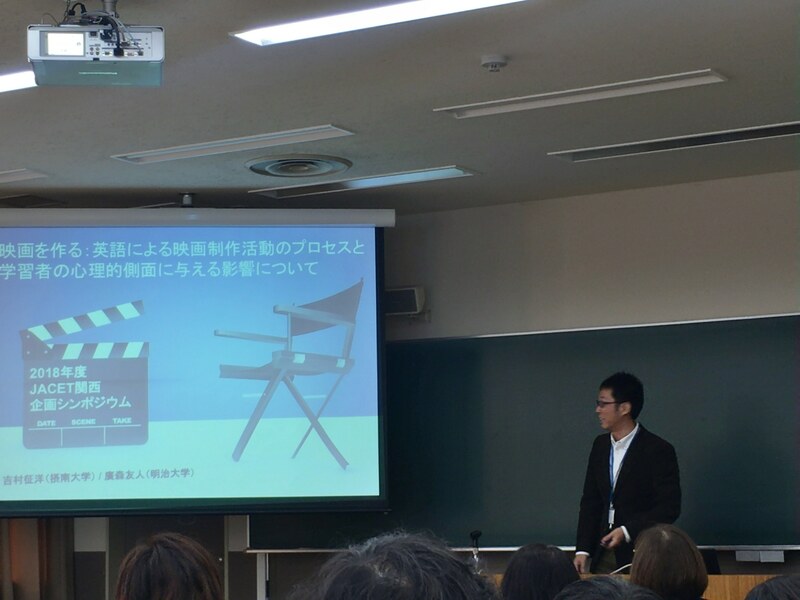 The second Lecture Meeting of the 2016 academic year was held on October 15th at Doshisha University Imadegawa Campus with 32 participants. The speakers shared with the audience about his latest research. I believe that bilingual education in the USA contains the essence of language education. By looking at bilingual education in the USA, I would like to think about what we as English (language) teachers should keep in mind, focusing on the sociopolitical meaning of language and language teaching, "culture" as related to language teaching, multilingualism and multiculturalism, linguistic and cultural identities of language learners. The 2016 Fall Conference of the JACET Kansai Chapter will be held at Nakamiya Campus of Kansai Gaidai University on Saturday, November 26th. JACET members are now invited to present proposals for research papers, practical reports, poster sessions, workshops, and colloquia. Please fill in the application form, which will be available on August 1st, and send it to us no later than 23:59 on September 30th, 2016. Submission deadline: 11:59 pm, September 30th, 2016. Please have a read through the newsletter #75. Kansai Chapter members are welcome to submit manuscripts for consideration for publication in JACET Kansai Journal (JKJ) No. 19. Papers should be related to research on college English language education or relevant areas. The JACET Kansai Journal especially welcomes papers that have been presented at JACET chapter or national conferences within the past year. Please check the guidelines for details on submission procedures and requirements available at http://www.jacet-kansai.org /file/toukoukitei.pdf. If you do not receive a message confirming the receipt of your manuscript within 3 days, please request confirmation. Only e-mail submission will be accepted. Postal submission of paper-based manuscripts will NOT be accepted. Prepare your manuscript according to the JKJ instructions using Microsoft Word. Send it as an attached file with an email message to Dr. Masahiro YOSHIMURA, Secretariat, JACET Kansai Journal. If you do not follow the submission guidelines, your manuscript may not be reviewed or published. The first Lecture Meeting of the 2016 academic year was held on July 9th at Kobe International House, with 46 participants. 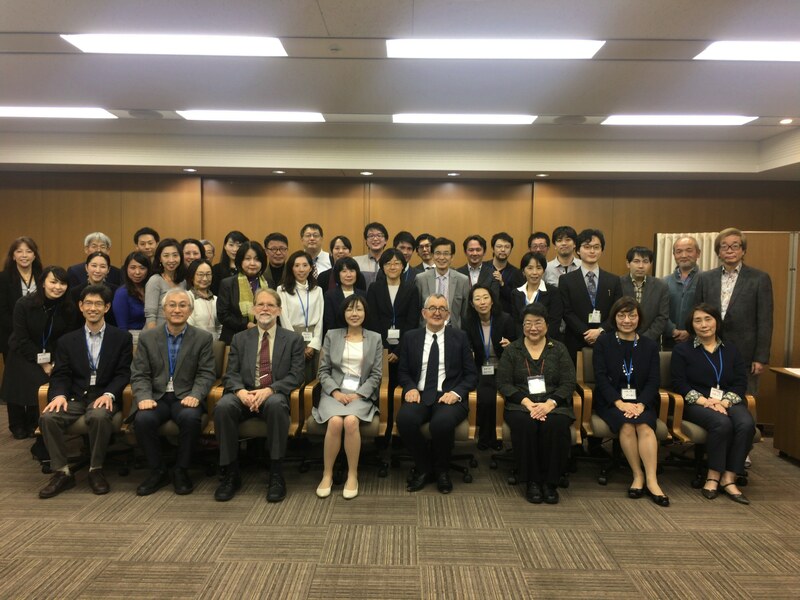 The speakers from English for Japanese Scientists SIG and Developmental Education Kansai Chapter SIG shared with the audience about their latest research. Copyright 2013 JACET Kansai Chapter. All rights reserved.